Pregnant women often get a laundry list of foods and activities to avoid, which can be overwhelming and confusing. Although there is some controversy regarding the safety of caffeine during pregnancy, tea -- even caffeinated Lipton tea -- appears to be safe during pregnancy -- as long as it is consumed in moderation. Pregnant women may reap many benefits from drinking tea during pregnancy. Hot tea is warming, and may help with relaxation and settling the stomach. Teas are also rich in antioxidants, which can help neutralize the damage from dangerous molecules called reactive oxygen species or free radicals. Finally, although Lipton does not make any "pregnancy teas," some herbal teas are designed to help with morning sickness and to otherwise promote a healthy and comfortable pregnancy. The main concern with drinking tea during pregnancy is caffeine. Herbal teas, from Lipton or other companies, do not contain any caffeine; it is found only in nonherbal teas. 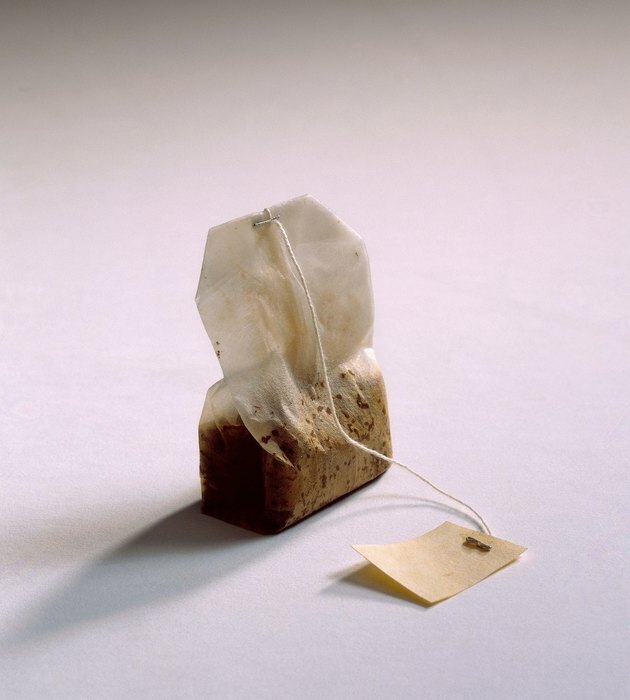 The average cup of regular nonherbal tea contains between 40 and 50 milligrams of caffeine. Lipton's black tea contains 55 milligrams per serving, while its regular green tea contains 35 milligrams. Although it is also possible to get decaffeinated nonherbal tea, these teas are usually not completely caffeine-free. Instead, they have a greatly diminished caffeine content -- typically about 0.4 milligram. Caffeine can theoretically be dangerous during a pregnancy because it can cross the placenta, which means that the caffeine in your bloodstream can enter into your fetus' bloodstream. During development, the infant's body cannot fully metabolize caffeine, so it can have a greater effect on the baby than on the mother. This caffeine can affect the baby's sleep and movement during pregnancy. In addition, high amounts of caffeine may cause an increased risk of birth defects and other complications of pregnancy. Although there are some concerns that caffeine can be dangerous during pregnancy, it appears that mild caffeine consumption during pregnancy does not pose a serious health risk to either the mother or the infant. The March of Dimes says that consuming some caffeine is OK for pregnant women, as long as the amount does not exceed 200 milligrams per day. Because the average cup of nonherbal tea has between 40 and 50 milligrams of caffeine, Lipton's caffeinated tea should be safe in moderation. Women concerned about caffeine intake should talk to their doctors, and check their other foods and beverages for caffeine. Lipton also makes many herbal teas, including peppermint, hibiscus and chamomile types. Although these teas are caffeine-free, their herbs may not be safe for pregnant women. For example, the American Pregnancy Association recommends that pregnant women avoid chamomile. Peppermint, on the other hand, is generally considered to be safe for pregnant women. Talk to your doctor before consuming herbal tea or other herbal products.